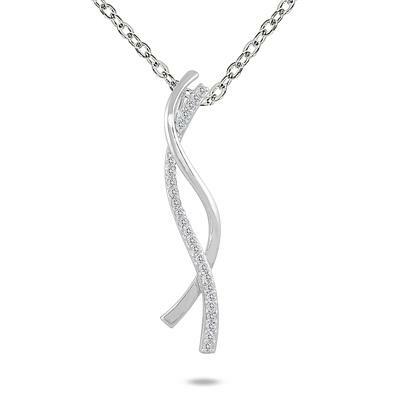 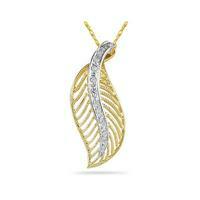 A stunning diamond twist pendant featuring 25 sparkling white diamonds set on a shiny 10K white gold setting. 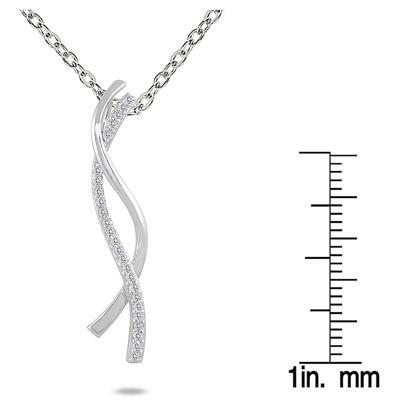 A large dazzling pendant measuring a nice 38mm in length. 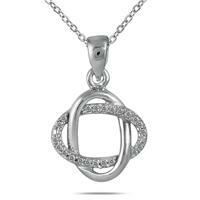 A big look great for casual and formal wear. 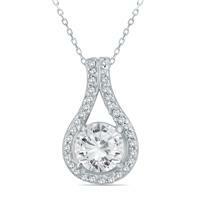 25 round diamonds weigh .23 carats in total, color I-J, clarity I2-I3. 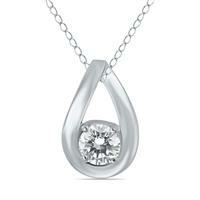 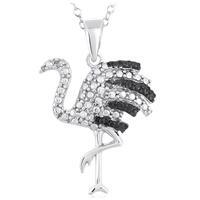 The pendant hangs from a durable 18 inch chain. 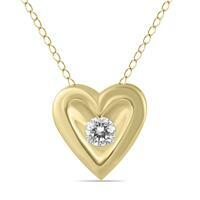 An absolute gem of a piece that is guaranteed to be treasured forever!